Azure Data Factory V2 – Handling Daylight Savings using Azure Functions – Page 2. In my previous blog, we set up an Azure Function to return current daylight saving time status for a timezone. In this blog, we will create a new Version 2 Data Factory, and import an ARM template with a Pipeline to adjust for daylight savings. We can import this template into an existing Data Factory if required. To begin, sign into the Azure Portal using an account with permissions to create new resources / services. Click on the + Create a resource to create a new resource.. Type Data Factory into the search field and press Enter. Select Data Factory , publisher Microsoft. Type in a Data Factory name. Select either Create new or Use existing resource group. Click Create, and in a few minutes the Data Factory will be created. Now we can import the ARM template with the Pipeline. 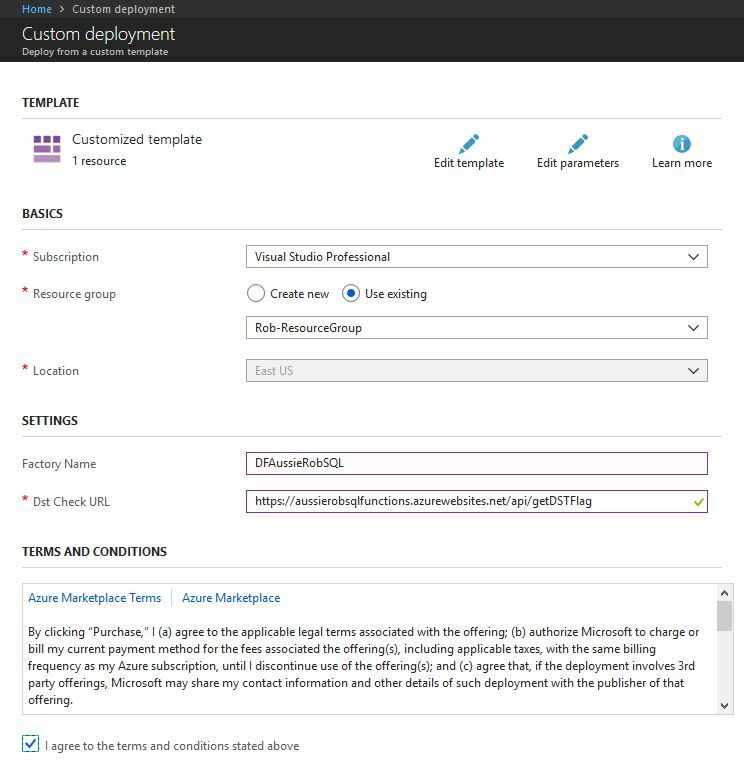 Go to Azure Custom Deployment to open the custom deployment page in Azure. Sign in if you need to. Replace the text in the template with the following JSON. "metadata": "URL for the DST Check function"
This should deploy the pipeline into your Data Factory. From the Let’s get started screen, select the pencil/Author icon on the left. Click on Pipeline to expand. Hopefully a PL DST Adjustment pipeline is present. Don’t forget to click on Advanced and set the Wait on completion setting so the current pipeline waits for the execution to complete. This will give your pipeline a 60 minute delay when daylight savings is FALSE. Note: When scheduling your pipeline, Schedule it to run at the time it will run when daylight savings is in place. Don’t forget to publish after completing your changes. Please feel free to let me know if there are any issues with this, or you would like more details on anything. « Azure Data Factory V2 – Handling Daylight Savings using Azure Functions – Page 1. 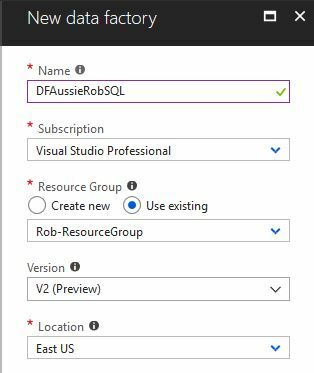 Azure Data Factory V2 – Handling Daylight Savings using Azure Functions – Page 1.